This is a guest post by author, Brenda "BK" Bradshaw. I got an email from a teacher who invited me to her classroom. She said, “The kids are so excited about your visit! They can’t wait to meet you!” My first reaction was, Are they talking about me? There must be a mistake. Maybe they think they are meeting Wendy Orr, Jeff Kinney or Judy Blume and they will be very, VERY disappointed. When I entered the classroom, I was overwhelmed by the response. Hugs. Eager smiles. Applause. Oh, no, I thought. They DO think I’m Kate DiCamillo or Katherine Paterson—not BK Bradshaw. What if they ask me how it felt to win the Newbury? A few minutes after arrival, the contagious excitement of the students—and discovering they actually are anticipating ME and not Beverly Cleary, Rick Riordan or Judy Blume—relieved every ounce of my anxiety. During the days ahead of the visit, I was nervous about whether I would talk about things the way the teacher wanted me to, and in a way that would captivate the students and hold their attention. A well-organized and executed presentation is important, but the students’ favorite part, based upon the letters I’ve received, is “signing my book with my name and telling you my favorite part.” It’s the moment of personal connection that matters most, and I don’t get at all nervous about that. The teacher who invited me to her classroom had offered her students a voucher to see me once they had finished the book and all related assignments. Having authors come to the classroom is so motivating to students that teachers have said things like, “I have students who haven’t finished a book all year who read your entire book. They are holding on to their vouchers like winning lottery tickets!” Herein lies an important reason to invite authors to your classroom: Motivation. Beyond the motivation factor lays an opportunity for a more lasting impact. If the author shares with them secrets, shortcuts and a behind-the-scenes glimpse into the world of professional writing, students can see the application of the day-to-day skills they practice in school with renewed interest. I got a letter from a student who wrote a sequel to Crystal Brave: Earthquake at the Taum Sauk. It was one page long, double-spaced, and apparently the most the child had ever written. I have received book reviews, essays, synopses and well-constructed thank you letters—evidence that the teaching surrounding my visit was effective (and affective). Authors can be positive role models for being resilient, planning and organizing long-term projects, and communicating ideas effectively. The experience is equally gratifying for authors. We cherish the hugs, smiles, retellings, and letters—and the occasional mistaken identities. Authors don’t have to be on the best seller list to light up the eyes and hearts of students and provide an experience they will remember for years to come. Brenda "BK" Bradshaw is a former elementary and middle school teacher, special reading teacher and assistant professor of elementary education. Now a mother of three, Brenda Bradshaw has always been immersed in children's literature. In recent years, her daughters have given her the inspiration to create the resilient female characters, Crystal Brave and Super Jewels. 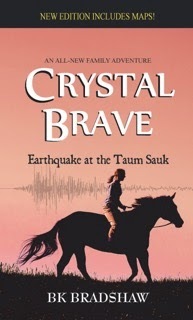 Purchase Crystal Brave: Earthquake at the Taum Sauk here on Amazon. 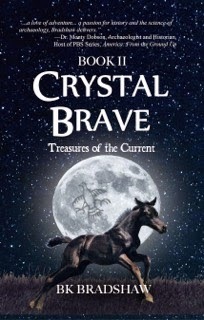 Purchase Crystal Brave: Treasures of the Current here on Amazon. 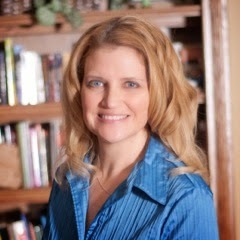 You can also connect with BK Bradshaw on her Website, Facebook, and Twitter. Are you interested in guest blogging? Contact ATrendyTeacher1@gmail.com for more details.